Today’s new music spotlight is on Straw Bear. About: Straw Bear created an unexpected stir with their last album, coming out of nowhere to win gushing praise and airplay from Tom Robinson, Bob Harris and Cerys Matthews at the BBC. Two years from their last release, the band is set to release ‘Fiction’, a long player with all the richness of its predecessor that Clash predicts will “become a cult classic”. The band’s dedicated audience has waited a long time for more of their jangling guitars and surreal lyricism. Taking a more psychedelic direction than the much-acclaimed ‘Black Bank’, ‘Fiction’ is nevertheless run through with the rich melodies and offbeat lyrics that have defined the band’s output so far. It was recorded over a series sprawling weekend sessions in the band’s own studio in rural Essex, with Straw Bear taking complete control over the album to produce the record’s ten tracks themselves. 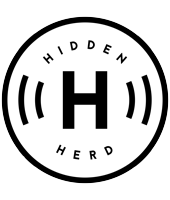 What Hidden Herd say: Straw Bear‘s jangly fusion of indie, folk and chamber pop makes for a mystical and cathartic experience, overflowing with dreamy melodies, gently cooed harmonies and real warmth. Ready to enter their wondrous and whimsical world? 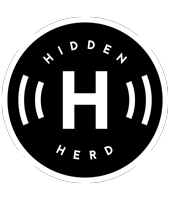 Watch the video for ‘Be Prepared’ – the lead single from third LP ‘Fiction’ – premiering on Hidden Herd below. Next shows:‪ Straw Bear does not have any upcoming events.